The concept of a subterranean realm is common throughout the world’s religions and mythologies. 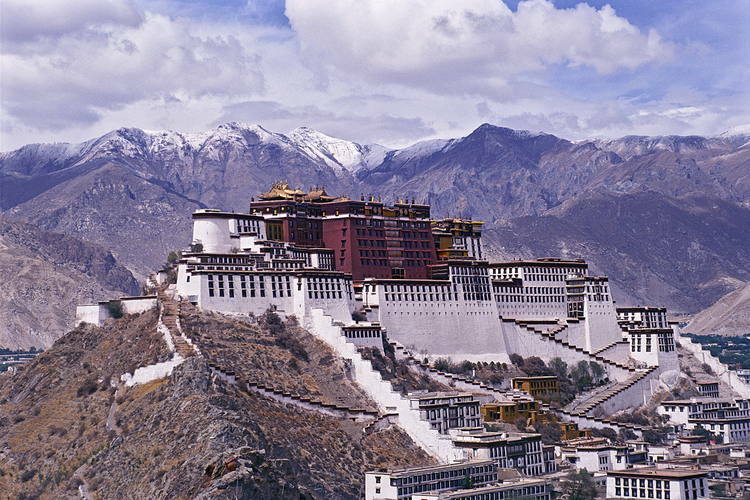 With regard to the present study, we can identify a powerful antecedent to the legends and rumors still extant today in the mythology of Tibet. In his 1930 book Shambhala, Roerich describes his attempts to understand the origins of underworld legends ‘to discover what memories were being cherished in the folk-memory’. In commenting on the ubiquity of subterranean legends, he notes that the more one examines them, the greater the conviction that they are all ‘but chapters from the one story’. An examination of the folklores of ‘Tibet, Mongolia, China, Turkestan, Kashmir, Persia, Altai, Siberia, the Ural, Caucasia, the Russian steppes, Lithuania, Poland, Hungary, Germany, France’ will yield tales of dwellers beneath the earth. In many places, the local people can even guide the curious traveler to cave entrances in isolated places, which are said to lead to the hidden world of the subterraneans. Central Asia is home to legends of an underground race called the Agharti; the Altai Mountains are the dwelling place of the Chud. In Shambhala, Roerich states that the name ‘Chud’ in Russian has the same origin as the word ‘wonder’. His guide through the Altai Mountains told him that the Chud were originally a powerful but peaceful tribe who flourished in the area in the distant past. However, they fell prey to marauding bands of warriors, and could only escape by leaving their fertile valley and departing into the earth to continue their civilization in subterranean realms. Roerich’s guide continued that at certain times the Chud could be heard singing in their underground temples. Elsewhere in the Altai Mountains, on the way to Khotan, Roerich reports that the hoofs of their horses sounded hollow upon the ground, as though they were riding over immense caves. In the region of Nijni Novgorod there is a legend of a subterranean city called Kerjenetz that sank into a lake. In Roerich’s time, local people still held processions through the area, during which they would listen for the bells of invisible churches. Roerich’s party went on to discover four more groups of menhirs, and several tombs, taking the form of a square outlined by large stones. ‘all which has disappeared, has departed underground’. Dr Ferdinand Ossendowski, whom we shall meet again in a little while, was told by lamas in Mongolia of fabulous civilizations existing before recorded history. To Ossendowski’s astonishment, the lamas claimed that when the homelands of these civilizations in the Atlantic and Pacific were destroyed by natural cataclysms some of their inhabitants survived in previously prepared subterranean shelters, illuminated by artificial light. Andrew Tomas speculates that the Celtic legend of ‘the Lordly Ones in the hollow hills’ is a folk memory of the survivors of the destruction of the Atlantic continent. In India, legends tell of a race of beings called the Nagas. Serpent-like and extremely intelligent, the Nagas live in vast caverns illuminated by precious stones. Although reptilian, the Nagas have human faces and are incredibly beautiful. Able to fly, they intermarried with kings and queens from the surface world, although they remain shy of surface dwellers and keep well away from all but the most spiritually advanced. Their capital city is called Bhogawati, and is said to be covered with rubies, emeralds and diamonds. Tomas writes that many Hindus and Tibetans have entered the caves of the Nagas, which stretch for hundreds of miles inside the mountains. The inhabitants of this region speak of large lotus flowers floating on the surface of the Manasarawar Lake in the western part of the Tsang Po Valley. 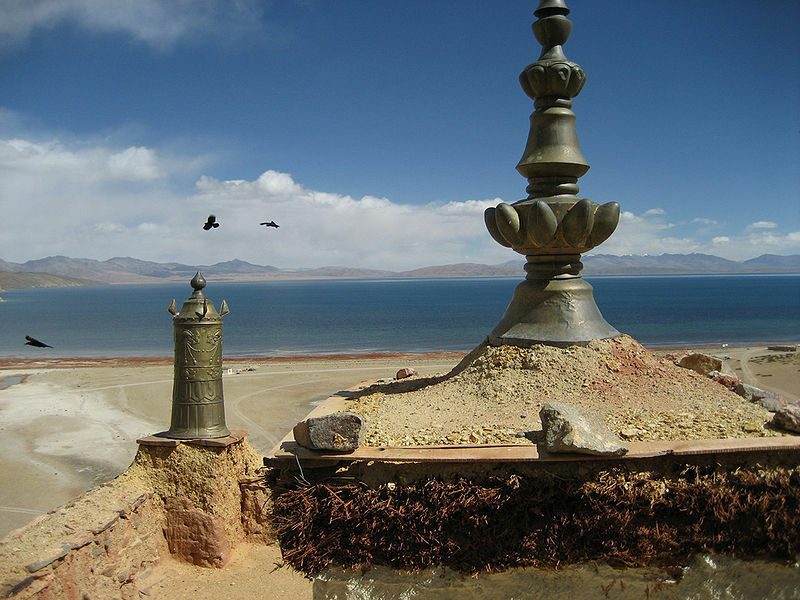 Radiant figures have also been seen near this extremely cold fresh-water lake.